Imagem Music Group, the music publishing investment fund of ABP, the Netherlands based world’s third largest pension fund and CP Masters BV, one of Europe’s leading independent music publishers, is pleased to announce it has acquired the rights to the songs and musicals of the legendary Rodgers & Hammerstein as well as The Rodgers & Hammerstein Organization (RHO). The transaction confirms Imagem Music Group as the world’s leading independent music publisher, while expanding its position in the ownership of theatrical and film properties. 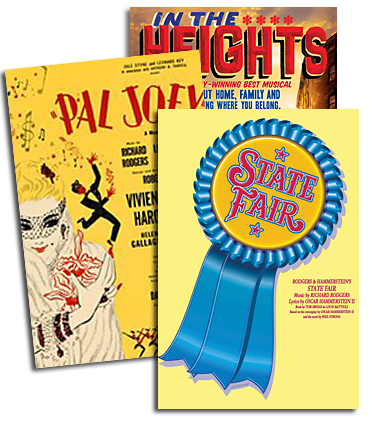 RHO, as a licensing agency, represents more than 12,000 songs, 900 concert works, 200 writers and 100 musicals, including works by Irving Berlin and Rodgers & Hart, such as Berlin’s “White Christmas” and ANNIE GET YOUR GUN, and Rodgers & Hart’s PAL JOEY and “The Lady is a Tramp.” RHO is in friendly and constructive discussions with Andrew Lloyd Webber’s Really Useful Group about continuing to represent his musicals in North America, including CATS, EVITA and JOSEPH AND THE AMAZING TECHNICOLOR DREAMCOAT. The existing management team, led by Theodore S. Chapin, President & Executive Director, has been retained. This acquisition is the latest in a number of strategic investments by Imagem Music Group, which acquired various music pop catalogues from Universal Music Group, such as Zomba UK, Rondor UK, 19 Music and the greatest part of the BBC Music catalogue as well as Boosey & Hawkes, the market leading classical music publisher. The RHO transaction fits with Imagem Music Group’s long-term strategy of acquiring a wide range of high quality music rights and maximizing their revenues by creatively developing their markets and audiences. With this acquisition Imagem Music Group now generates annualized revenues of more than 100 million euros and has rights to more than 200,000 pieces of music. Terms of the transaction were not disclosed. Imagem Music Group was advised by Morgan Stanley, Ropes & Gray LLP, Loeb & Loeb and Deloitte. The Rodgers and Hammerstein Organization was advised by Ziffren Brittenham LLP, Katten Muchin Rosenman LLP and Davis Wright Tremaine LLP, the Rodgers Family was advised by Katten Muchin Rosenman LLP and the Hammerstein Family was advised by Davis Wright Tremaine LLP.